Scroll down the column on the left hand side of the screen to refine your results by Creation date and choose Before 1800. Sort this results list using the drop-down menu under Sort in the middle of the screen, to show the oldest date first. During the 16th century children learnt Latin from Vulgaria. Unlike the connotation today, 'vulgar' words in the 1500s were everyday or common sayings school children were expected to use in Latin. Vulgaria Stanbrigi [1520?] by John Stanbridge is a list of commonly used Latin phrases for children. The earliest English language Latin Primer held by the Library is The scholemaster (1571) written by Roger Ascham, former schoolmaster to Queen Elizabeth I. Ascham strongly advocated home schooling in preference to the discipline encountered in 16th century grammar schools. 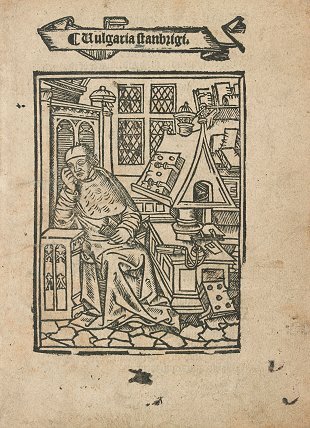 This book is featured on the Library's Children's books collection page as a book designed to encourage 16th century children to learn Latin as gateway to the classics. Another 16th century children's text is Anglorum praelia (1582) which contains two historical poems by Christopher Ocland about the battles of England and Queen Elizabeth's pacification of England. Written in Latin these long narrative poems describe England's glorious victories in battle and pay tribute to the monarch. You can find the full text and translation from Latin in the Philological Museum's website.